Camp Constitution lost a great friend with the passing of Samuel L. Blumenfeld. Sam passed away on June 1, a day after 89th birthday. Sam was born in New York City on May 31, 1926. His parents were immigrants from Poland. He was educated in New York City public schools which taught intensive phonics, and where the principal would recite the 23th Psalm over the PA system each morning. Sam served in World War II in the Northern Italy Campaign towards the end of the war. He wrote a few poems of his experiences in the war. He graduated from New Your City College, and, travelled to Europe to study. He also visited an Italian family he befriended during the war. Sam went to work for several publishing companies including Grosset and Dunlop. A life-long anti-communist, Sam founded the American Friends of Algeria, and later The American Friends of Katanga. In his library where rare documents concerning these two organizations including a letter from Dr. Moise Tsombe whom Sam visited in 1964. Sam went to work for “The Review of the News” a weekly conservative magazine published by The John Birch Society. He was instrumental in the founding of the Jewish Society of Americanists. He started his own publishing company, Coleridge Press, which published a biography of Lillian Nordica, a famous opera star. While an editor for Grosset and Dunlop, he was asked to join a reading reform organization founded by his friend Watson Washburn, a New York Attorney. Sam was surprised to learn that American students had a reading problem. Mr. Washburn told him to read “Why Johnny Can’t Read” by Rudolph Fleish. This book set him on a life-long crusade to promote intensive phonics. Sam researched how the look-say method of reading was introduced in the U.S., and was the first person who had the moral courage to expose the conspiracy to deliberately dumb-down the American people. He travelled in all 50 states speaking to groups on the subject. He was a regular at homeschool conventions, Tea Party rallies, radio and talk shows. Sam’s books included “How to Start Your Own Private School.” The NEA: Trojan Horse in American Education, “How to Tutor, and his last which he co-authored with Alex Newman “The Crimes of the Educators.” We were pleased to help with Alex Newman’s visit to meet Sam a few days prior to his death. 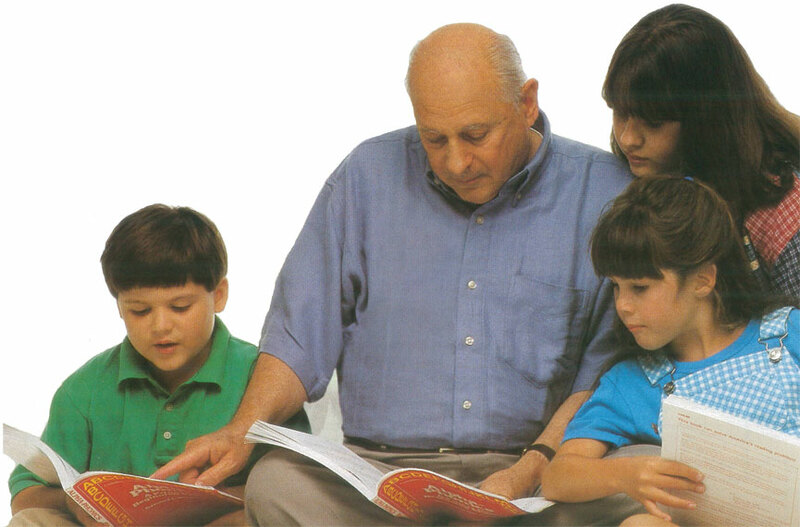 His most influential work was his book “Alpha Phonetics.” This workbook was used by several generations of parents to teach their children how to read. Sam’s work influenced hundreds of thousands of people.